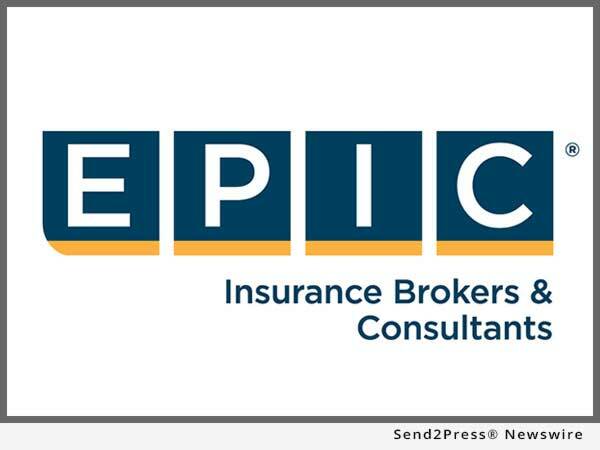 SAN FRANCISCO, Calif. and ATLANTA, Ga., May 24, 2016 (SEND2PRESS NEWSWIRE) — EPIC Insurance Brokers and Consultants, a retail property, casualty insurance brokerage and employee benefits consultant, announced today that Senior Consultant and Principal Rosemary Hughes and Benefits Strategy Consultant Suzannah Gill will speak at a hands-on workshop at the 7th Annual 2016 IHC Forum & Expo on Wednesday, May 25 from 3-4 p.m. at the Cobb Galleria Centre in Atlanta, Georgia. Moderated by Jim Fries, national sales director of Health Exchange Resources, the workshop will discuss strategies and best practices for implementing defined contribution health care, including effective decision support and communication and an actuarial breakdown of how defined contribution works. Hughes and Gill will help guide companies in empowering employees to take over their own health care decisions. Rosemary Manning Hughes is a senior consultant and principal in EPIC’s Stamford, Conn. and New York, N.Y. offices. She brings over 25 years of experience in the employee benefits industry. Prior to joining EPIC in June 2015, Hughes was the director of benefits, Americas, for Avis Budget Group, responsible for all aspects of the strategy and administration of all health and welfare, defined benefit and defined contribution retirement plans, and global wellness. Before Hughes joined ABG, she was a health and welfare consultant for such firms as Arthur J. Gallagher, Fidelity and Mercer Consulting. She specializes in finding solutions that engage employees while managing costs. Joining EPIC’s employee benefits consulting team in Atlanta as a benefits strategy consultant, Suzannah Gill brings a breadth of benefits consulting experience to EPIC. She was previously a senior associate and benefits consultant for a large Atlanta benefits consulting firm with a focus on strategic management and business development. Prior to that, Gill brought her strategic benefits expertise to her clients as an ERISA attorney at a prominent Atlanta law firm, representing clients in Employee Benefits & Executive Compensation. As a consultant for EPIC’s Employee Benefits practice in the Southeast, Gill will provide client service leadership, including overall strategy, relationship management and business development, bringing new clients to EPIC. Gill is a responsive and results-oriented benefits consultant, and strives to help her clients navigate through the complexities of employee benefits, so they can focus on managing and growing their businesses. Additionally, her skill set further expands EPIC’s legal expertise in employee benefits. She is passionate about building relationships with clients to better understand their employee benefits needs and will utilize the extensive expertise available through EPIC’s comprehensive Employer Services Platform to better support her clients and help them achieve their business objectives. Change is the new constant in health care and employee benefits. The Institute for HealthCare Consumerism constantly tracks the transformation and translates the chaos into clarity and into strategies and tactics that work. IHC Forum & Expo is the event where attendees can access the most current insights, innovations and industry leaders in one place. The expo helps attendees keep pace with continuous health, wellness and benefits change.